The frozen yogurt craze seems to still be going strong, and with summer around the corner we are about to hit the peak in fro yo season. 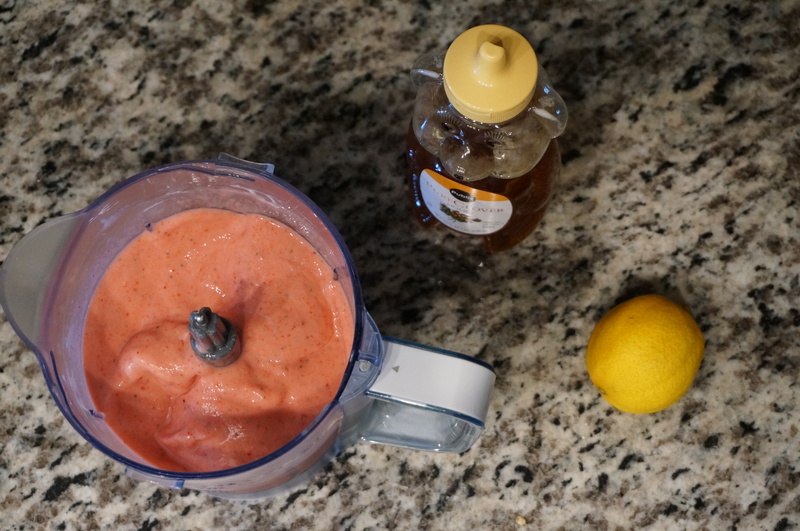 With that I decided to attempt to make homemade frozen yogurt, using this recipe I found on Pinterest that says you can make homemade strawberry frozen yogurt using 4 simple ingredients and a blender. 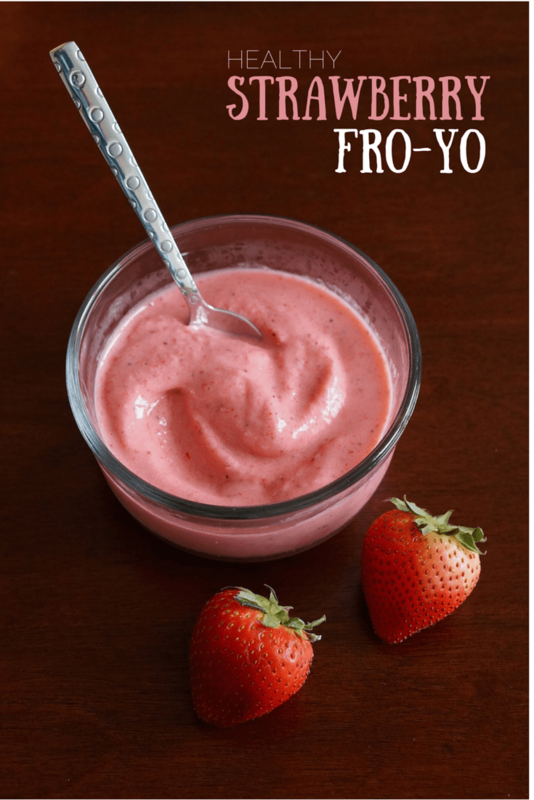 So as usual, I called shenanigans on this froyo recipe and got to work! 1) Gather all of your ingredients. 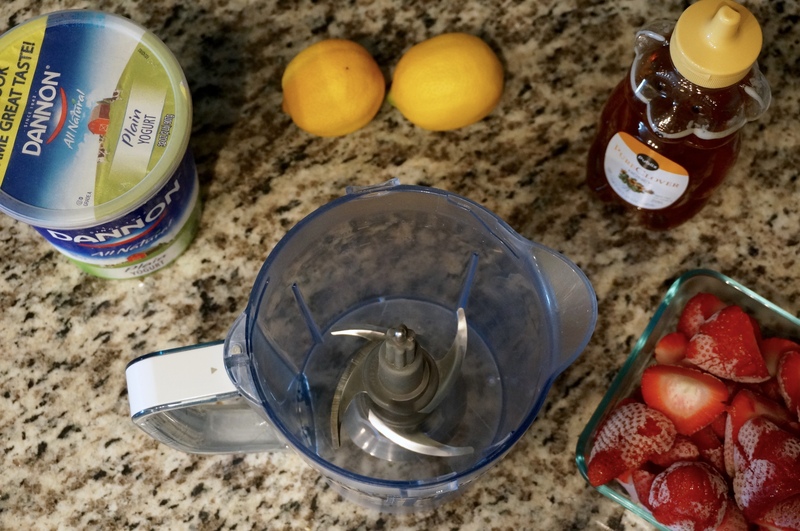 2) Put them in your blender and blend (this is an extremely easy recipe). Serve! You are all done with your yummy homemade strawberry frozen yogurt. I thought it tasted great, but I do like tart foods. 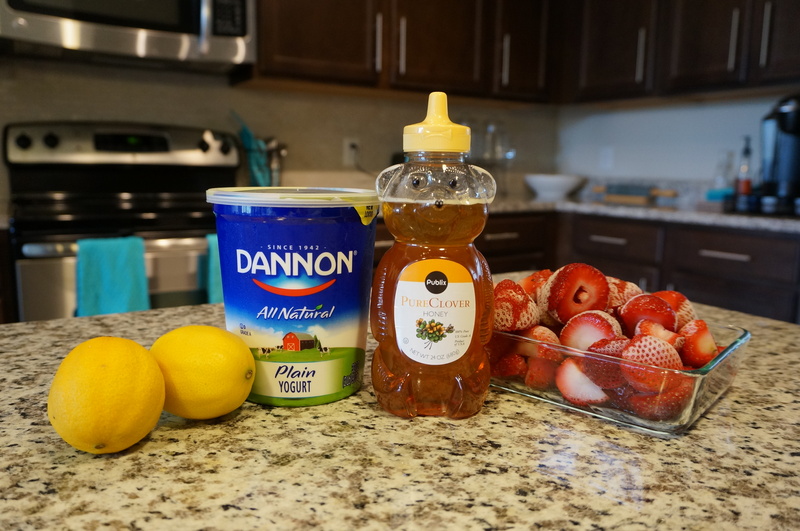 If you are not a fan of tart, I would suggest switching out the plain yogurt with vanilla or adding a couple extra tablespoons of honey.